The Redhot Ranch has already won a GNR for its Western location, so I see no reason why it shouldn't be extended to their Ashland spot. While the new location still offers the same exact fresh cut fries, classic depression dogs, and homemade fried shrimp, it has one unique option which has become an LTH favorite: the burger. In the Main LTH Thread, Jimswside says, "the burger - excellent - nice crisp char on the edges of the patty, crisp lettuce, tons of finely diced onions, etc. 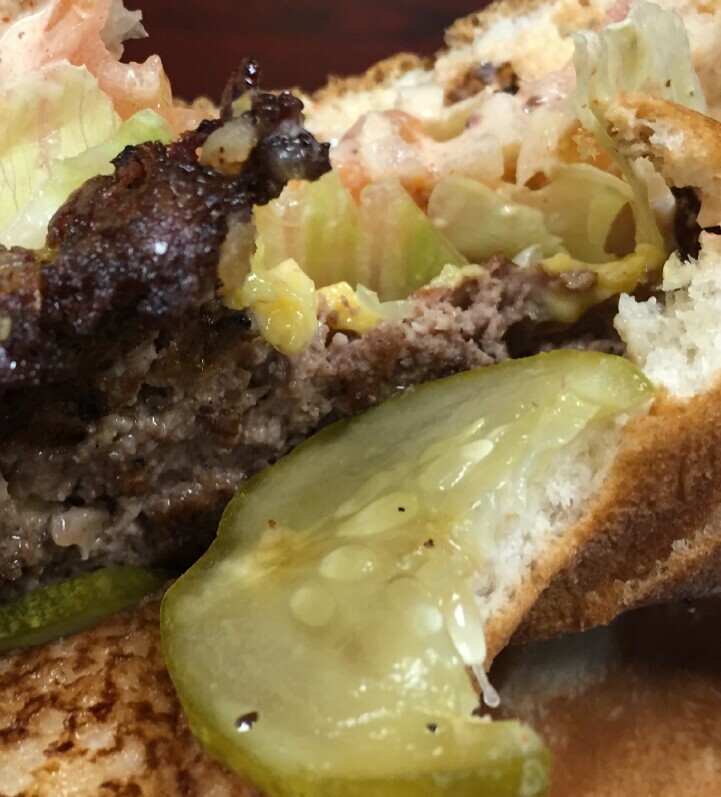 Perhaps my favorite burger around right now - definitely high on the bang for the buck scale - gonna be tough not to stop every time im in the area." Ronnie says, "thought it was phenomenal; just a perfect representation of the style. " 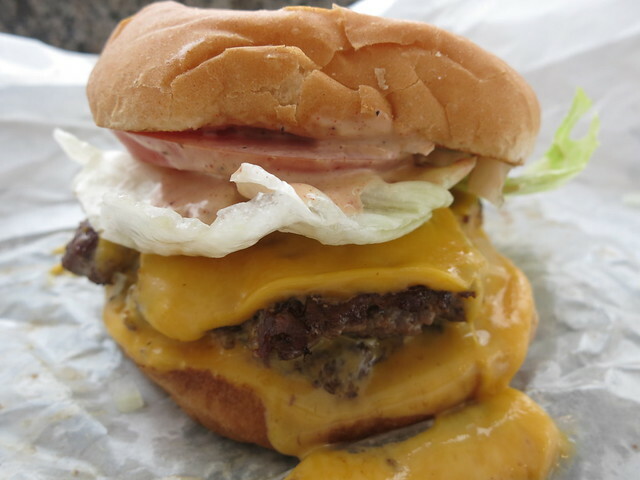 Chicago Hokie said "It was as close to the perfect basic diner style cheeseburger that I have had from a restaurant: char-crispy burger surface and properly seasoned"
In the thread Favorite Meals, Bites and Sips of 2014 The redhot ranch burger is mentioned 5 times! And at around $5 for a double cheeseburger and fries, we should support locally owned places which offer great values without compromising the food. I couldn't agree more! A great nomination. Great call and a most worthy nomination! My favorite burger @ the moment, made even better because you get change back for a fiver. Oh yeah! Definitely support this nom! Yes! The burger is amazing (as is everything else...including the prices). I regularly crave and would very much like to have one of those burgers right now. Great nomination. As a California ex-pat, I fully support this nomination. Closest you can get to an In-N-Out burger (with better fries too!) in Chicago. I've driven out of my way to avoid driving past Redhot Ranch on Ashland. This is the only way I ensure that I won't be tempted to stop. I love their burgers and fries. Great nomination. Darren72 wrote: I've driven out of my way to avoid driving past Redhot Ranch on Ashland. This is the only way I ensure that I won't be tempted to stop. HAHAHA! Ditto. This is my route home from the Kennedy coming from south. And I ALWAYS try to turn off before RHR to avoid temptation if I'm hungry!! Of course. Still can't fathom why the place isn't packed. I'm blessed that Redhot Ranch is just far enough away that I don't have to date a cardiologist. GNR for sure. For what we choose is what we are. He should not miss this second opportunity to re-create himself with food. Jim Crace "The Devil's Larder"
No brainer- a place for the regular folks: a great burger for a fair price - rare thing in the Chi. Ive already gone on record before that the RHR double cheeseburger is the best burger in Chicago and I stand by that. I live 88 miles each way from RHR Ashland location but I still get down there for at least 1 RHR double a month. I get around, but dont do that for things that arn't worth it. jimswside wrote: No brainer- a place for the regular folks: a great burger for a fair price - rare thing in the Chi. Ive already gone on record before that the RHR double cheeseburger is the best burger in Chicago and I stand by that. And quite possibly the best $5 you can spend on food in all of Chicagoland. Ronnie you sure how to hit it out of the park !! "And quite possibly the best $5 you can spend on food in all of Chicagoland." As usual the ever delightful Mark Seagul hits it right on the nose. 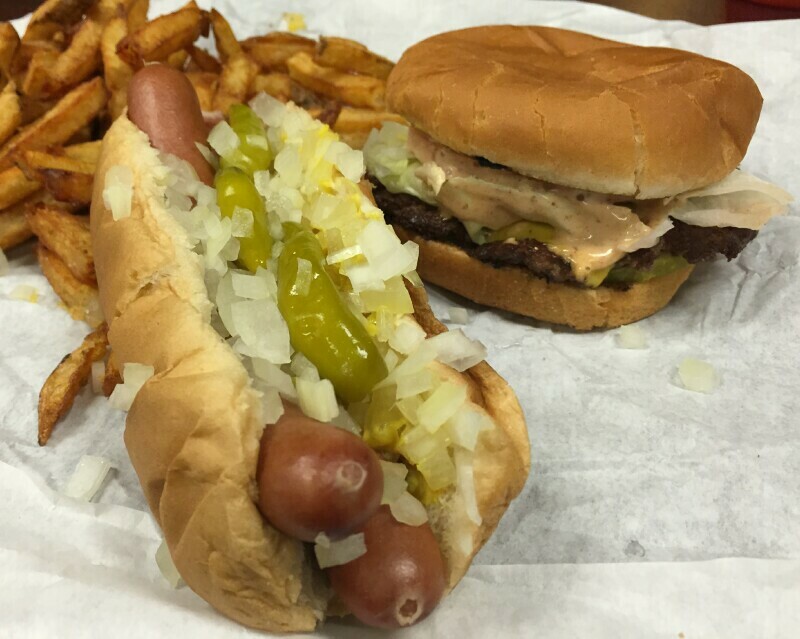 The burgers are terrific, but lets not forget the Redhot Ranch natural casing dog. Redhot Ranch Ashland for GNR, yes please! Redhot Ranch is definitely Hamburger Royalty !! I’m glad the nomination was sorta phrased as an extension of the original award. I do, however, need to take a moment to be critical. I really couldn't care less about the burger, and am confused as to why it was such a huge hit here. I have had better examples of the style, and really hate that “special sauce”, ugh. I know I could order it without it, but even at that i find it unexciting. On the other hand, as simply an extension of the original location I would fully support this nomination for the hot dogs, shrimp and fries. RHR on Western is probably the GNR which I visit most, and I’m happy to support spreading the original GNR to this location as well. I'm with Matt on the special sauce, I find it gross. That said, I like their rendition of the Southern Cali burger certainly better than the others in town and dig their greasy/griddled/crisp edged patties more than In N Out. Subjectively speaking, I don't think lettuce and tomato have any business on this style of burger either. I know I could probably order a reasonably satisfying combination of toppings from the hot dog side of their line, but where the pickles at, a deal breaker. The sauce is canonical for SoCal burgers (and by extension burgers in places like LV and SLC). I could take it or leave it. Maybe there's a reason Big Macs have spread their special sauce across the globe, from its humble beginnings in San Berdoo, but few have picked it up. 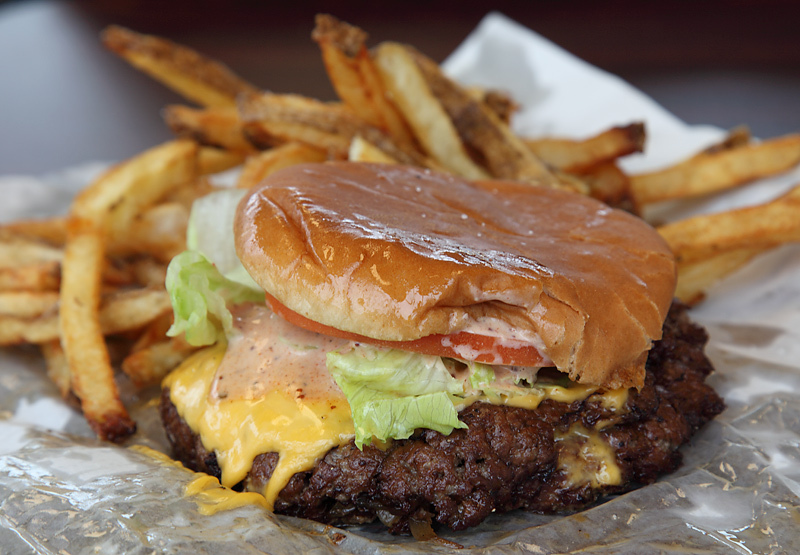 I think it's a very fine example of a burger that belongs to the Midwest (IN, MO and KS in particular) as much as CA. Is the Red Hot double as good as a Schoop's Mickey from one of the better Schoop's? No. But neither are most Double Doubles (Hollywood High INI excepted). This is great fast food. The fries make it a lock for me. laikom wrote: I’m glad the nomination was sorta phrased as an extension of the original award. I do, however, need to take a moment to be critical. I really couldn't care less about the burger, and am confused as to why it was such a huge hit here. I have had better examples of the style, and really hate that “special sauce”, ugh. I know I could order it without it, but even at that i find it unexciting. I've had better versions of this smashed style too (all outside city limits) but playing the "I've had better" elsewhere game is dangerous in that many people have had better this or that from this or that place. Just because I've had better pizza than that at Vito and Nick's it doesn't mean its not a GNR to me. I think it's a damn fine burger and probably the best cheap eats burger in Chicago. I could take or leave the now hip West Coast sauce but for whatever reason I always just go double ranch but I do prefer only mustard, onions and pickles from all other spots where this style is served. Which FYI happens to be a style born much closer to home than IN, MO and KS. Just a heads up that I was given from someone on here, the pickles are available if you ask, though I haven't asked in a few months. 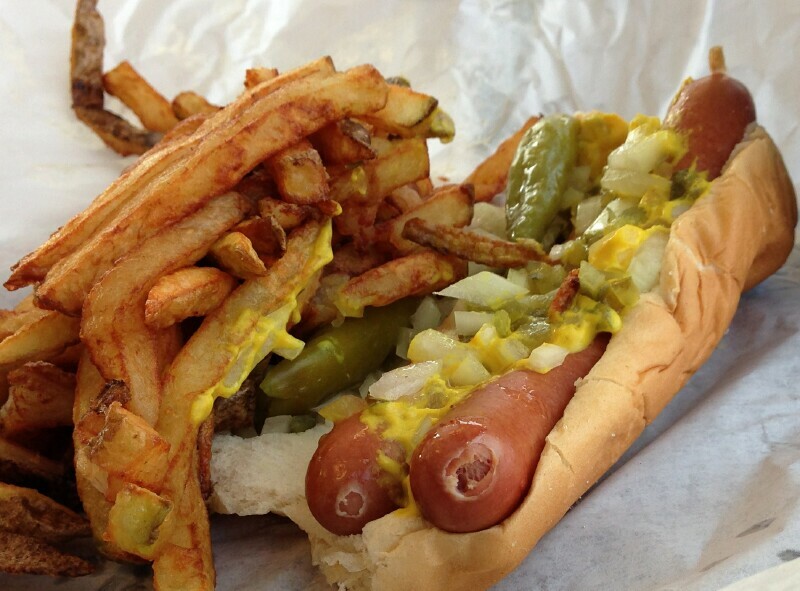 Since I find myself near both Northside locations enough I just go hot dog when on Western and burger when on Ashland. I'm all in for RHR. Last edited by Da Beef on March 3rd, 2015, 8:23 am, edited 1 time in total. Had a burger with pickles yesterday. Good ones. No sauce. Just ketchup & mustard. Fantastic!!! As a kid in Milwaukee a burger with lettuce, tomato, mayo or special sauce was called a California Burger. No idea why, but I dig the combo once in a while and Redhot Ranch Ashland does the style to a T. Oh, and Jefe, pickles are available for the asking. Redhot Ranch, count me a fan! I just realized something... I take back my GNR endorsement, that is unless 35th street redhots also gets a GNR by association. That and being the original location of the trio, shouldn't it get an honorary GNR?